Despite of today complaint of internet censorship, before flying to China, Obama made a statement that has worried many powerful men in the old continent: the United States does not want to stem the rapid Chinese development because a strong and prosperous China is good for everyone. Come on, let us be disillusioned. Although today the FAO World Food Summit on food security has opened in Rome, where we will see a parade of leaders from around the world, spread out enlightened discourse, full of words like solidarity, understanding and heartfelt respect to the billions of hungry people on the earth, we perfectly know what our politicians’ priorities are. Moreover, in Italy we have today a government that is always first to show what problems are primary in their thoughts. 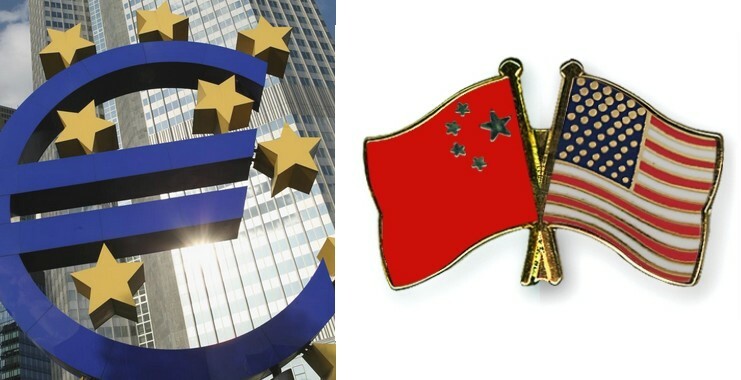 Yesterday, Foreign Affairs Minister Franco Frattini has released an interview with the Times stating that the European Union must absolutely respond to the nascent United States China axis. It is simple: creating an European army. According to the Italian Minister, what Europe needs is an army. Well, it was not such a surprise. The union of the banks has been made.